← Save $20 Every Grocery Visit! What does the future hold for the movie industry? 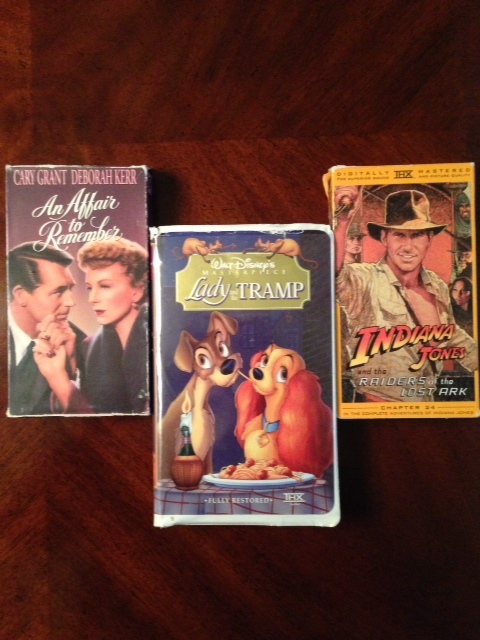 Will the movie industry as we know it now take on the same future as VCR tapes (once great, now almost obsolete, replaced by digitally enhanced home theaters)? “The two legendary filmmakers were speaking at the University of Southern California as part of the festivities surrounding the official opening of the Interactive Media Building, three stories high and part of the USC School of Cinematic Arts. Steven Spielberg on Wednesday predicted an “implosion” in the film industry is inevitable, whereby a half dozen or so $250 million movies flop at the box office and alter the industry forever. What comes next — or even before then — will be price variances at movie theaters, where “you’re gonna have to pay $25 for the next Iron Man, you’re probably only going to have to pay $7 to see Lincoln.” He also said that Lincoln came “this close” to being an HBO movie instead of a theatrical release. I love the movies. But I hate the prices. Unless tickets are given to us, my family has already been priced out of going to a professional sporting event. When you add up all the costs: tickets, parking, food, drinks, souvenir bobble-head – that is a lot of groceries, or savings toward a future vacation. So will the movies be next? Let’s break down the cost of a movie. Tickets are about $10 for an evening feature. Popcorn is about $6. Drinks are about $6. And of course candy is around $3. So basically $25 per person, close to 100 bucks for a family of four. And then, what if it turns out being a bad movie??????? Movies hold such a nostalgic place in my heart. As a kid, the classics would come on television once a year. Or, we would eagerly anticipate what two features would be at the local theater. The Wizard of Oz inspired me to believe in good over evil. Brian’s Song was the first movie I teared up over (I made sure no one saw me). The 10 Commandments gave me a visual connection to my faith. Star Wars was the most amazing thing I’d ever seen on a screen (it was 1977 mind you). Jaws absolutely terrified me (and I loved it), however, I was afraid to take a bath that night. Anything from Disney studios sparked my creativity and imagination. I could go on and on. I frequently use movie clips in my teaching to further strengthen a point that words aren’t enough for. 6 Responses to What does the future hold for the movie industry? HI. Very interesting blog-especially in light of the recent “hacking” of Sony pictures and then the “withdrawing” of the showing of “The Interview”. This interview you talk about may be more prophetic than we thought. Keep up the thought provoking ideas. Debi, thank you for your kind comments. Your mention of the Sony situation makes me wonder: If other governments can possibly “get into” our entertainment systems – how easily can they access everything else? Just like the stock market, the movie industry needs an adjustment from time to time. I think the world is so much in love with its Hollywood “gods”, there’s little chance it is not going to continue. But the fascinating thing is that Hollywood is reaching out to those people of faith, with movies like Courageous and Unbroken. God is in control – even of the movie industry – and He will use it according to His purpose. Tony, it is amazing how many lower budget films with a quality script and an inspirational message (like “God’s Not Dead) end up being hits compared to the multi-million dollar “blockbusters”.